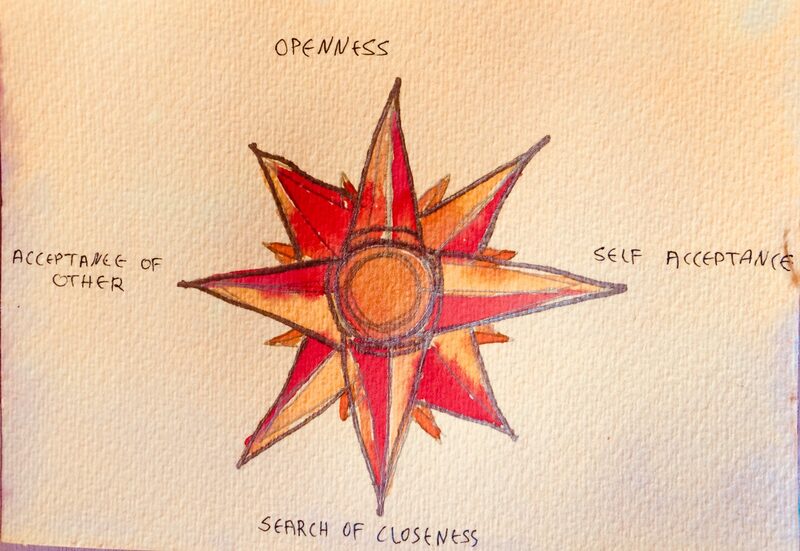 After illustrating what the Compass of Shame is, you might be wondering: so what is an effective and positive compass to use? More so when bearing in mind that one of my primary models suggests that the default result of Cross-Cultural encounters is conflict. Conflicts leave you and the other side (or sides) with various options of bad results which are far from being effective in business, any type of relationship and communication. According to Tompkins (mentioned in my last post) shame is the feeling barometer. When there is a transition from positive feelings towards negative ones, the change crosses via shame, as if shame were an obligatory stop on the spectrum of feelings. But, shame carries within itself a binary potential which has an extremely important role. Shame can lead to regret in which compassion stems. Therefore the effective compass you would like to aim towards is: The Compass of Compassion. The word Compassion deriving linguistically from Latin, bears similar phonetics in English, French, Spanish and other Latin-based languages. Compati in Latin is ‘Suffer with’ therefore indicating both the sharing and necessity of at least two people needed for preforming the essence of the word. This intimate teamwork embedded in the essential duality of compassion offers a great solution. Though the work of creating an effective bridge is an intricate and complex work, the result can definitely lead you to resolve Cross-Cultural conflicts. Also when experiencing shame one ought to remember the potential shame has. This potential allows to transform shame into the wish to mediate while |using compassion. Compassion and mediation go well together and use one another for promising sustainable results. Both compassion and mediation create a dialogue focusing on peoples needs and interests rather then positions. For being able to mediate conflicts and especially those having different cultures involved, compassion is a valuable compass.